20th Century Fox has debuted the official title song for the upcoming comedy, Spy, "Who Can You Trust" by Ivy Levan! Check out the L.A.-based singer/songwriter's powerful vocals in this captivating video, and make sure to catch Spy in theaters everywhere this summer. This beautifully choreographed and photographed short also serves as a spoof of James Bond movies and their various main title themes. 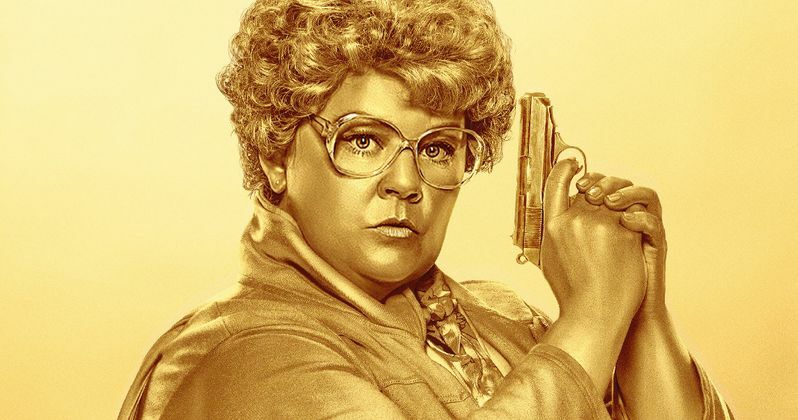 In Spy, Susan Cooper (Melissa McCarthy) is an unassuming, deskbound CIA analyst. She is also the unsung hero behind the Agency's most dangerous missions. But when her partner (Jude Law) falls off the grid and another top agent (Jason Statham) is compromised, she volunteers to go deep undercover to infiltrate the world of a deadly arms dealer, and prevent a global disaster. Paul Feig directs Spy, which serves as his third big screen collaboration with Melissa McCarthy after 2011's Bridesmaids and 2013's The Heat. Watch as Ivy Levan does her best smoldering Bond femme fatale, set against hilarious footage from Spy, which hits theaters everywhere in June. Will this be the best comedy of summer?